Mission Statement: Corpus Christi University Parish, a community nourished by the Eucharist and committed to the works of charity and justice, carries out its mission to be a sign and instrument of God’s reign in the world through its Christian Service Program (CSP) that facilitates mutually enriching relationships between its members and persons in need, while seeking to humanize social structures. You can be part of this program! To volunteer with a local agency or find more information about our national and international trips, please contact the office at 419-531-4992. Local service opportunities like the Backyard Mission Trip in January 2019! Throughout the Fall semester of 2018, we will be serving together locally throughout the Toledo area on a number of “Acts of Charity Days.” Permanent Community Members and students are all welcome to join in these service projects. Watch the bulletin, the CCUP Facebook page, and flyers in the Gathering Space for more information. 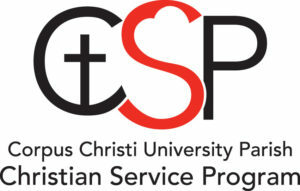 The Christian Service Program promotes national poverty immersion trips. Through our Alternative Spring Break Trips students have an opportunity to engage in the social mission of the Church within the United States. 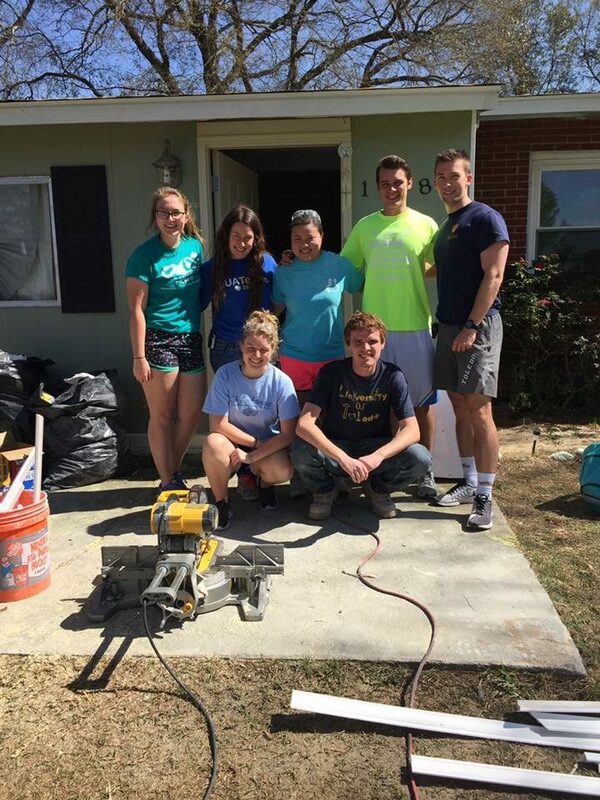 In March 2018, 19 students traveled to Florida to build houses for Veterans with Habitat for Humanity. Visit the blog to read about the trip. For students looking for national service opportunities, check out the Catholic Volunteer Network! They have a database of volunteer positions, discernment resources, urgent opportunities listings, a blog featuring stories from volunteers, and an events calendar. CSP has been growing in their initiatives overseas. So far we have sent students on mission trips to Kingston, Jamaica, El Salvador and San Pedro Sula, Honduras. We are excited to watch this part of our program grow and look forward to helping more students have the opportunity to participate in our international service immersion trips each year! In May 2017, our students served the people of Guatemala with the organization Sew Hope. 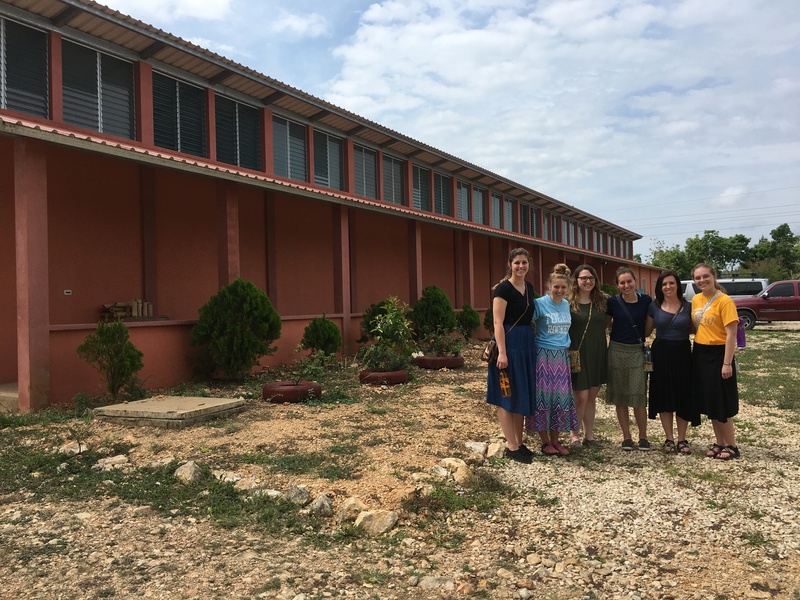 You can read about this mission trip on our blog. These nights are also integral to the Christian Service Program. They essentially answer two questions: “What makes the service we do as Christians different?” and “How is God at work through my service experiences?” As Jesus says, “Amen, I say to you, whatever you did for one of these least brothers of mine, you did for me” (Mt 25:40). We need to reflect on how we encounter the Lord through the poorest of the poor. These nights are full of conversation, laughter, good food, and warm beverages. Please join us! To Make a DONATION to the Christian Service Program via PayPal, please click here. Thank you for your generosity. This program would not be able to exist and grow without your support! Feel free to contact Kimberly Kunkle, the Director of the Christian Service Program, with service related comments or questions at kkunkle@ccup.org.